We’ve been treated for several months now to the sight of 4 bright planets in our evening sky. Although Mars isn’t as bright now as it was, all 4 planets are still up there after sunset, visible from across Earth. 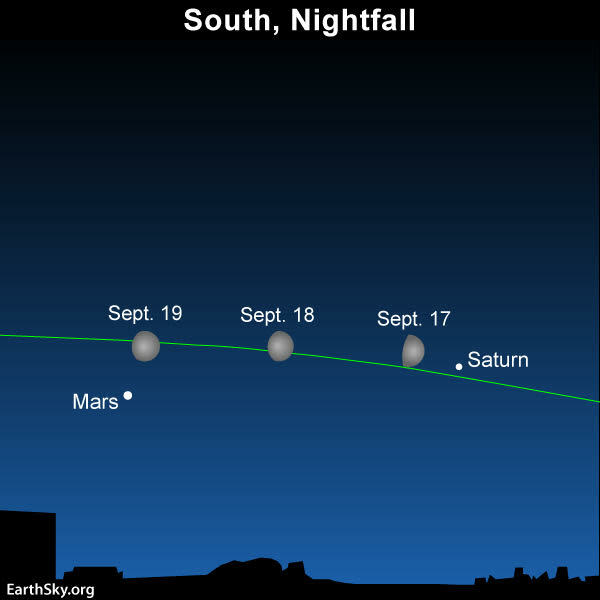 Watch for the moon to sweep by the planets Saturn and Mars from September 17 to 19. Read more. 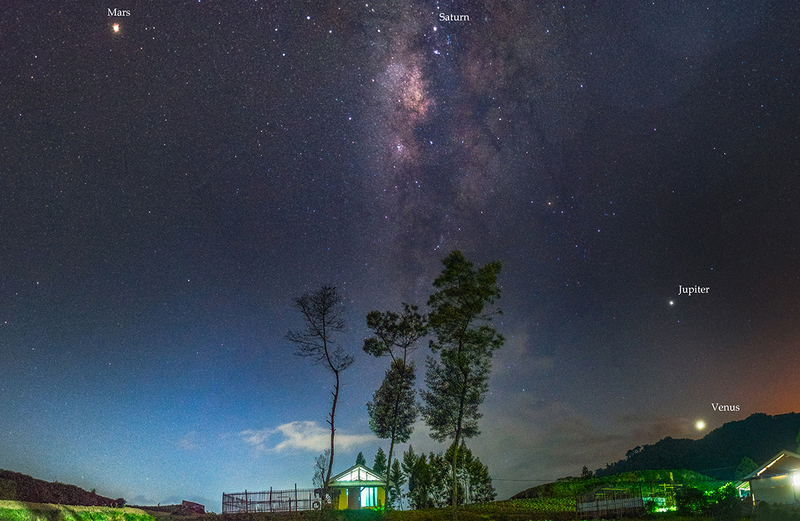 Bottom line: September 2018 still has 4 bright planets visible after sunset.